Science is advancing by leap and bounds. With recent scientific advance, our understanding of Universe as well as of man is much better today. However, more we know about the intricacies of human life, more we realise how much more we are yet of know. 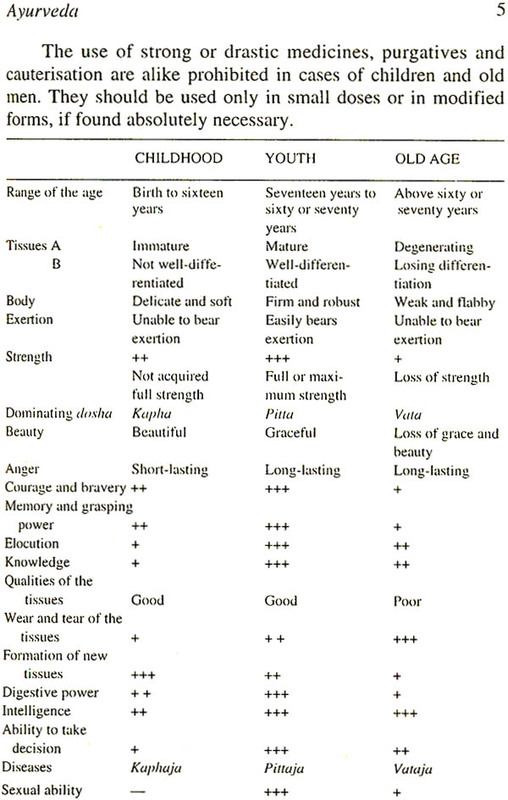 Student of Modern medicine can rattle how much more we are yet to know. Student of Modern medicine can rattle out the functions of various organs like heart, kidneys, liver, brain etc. very well. However, if he is asked a simple question viz. What is the function of man? He is taken aback. From time immemorial, Ayurveda has given guidelines and will continue to give guidelines to mankind about the art of living, science of health and philosophy of life. Ayurveda has studied man in relation to the Universe and has come to the scientific conclusion that man is the epitome of Universe. All objects in the Universe right from energy particules to huge celestial bodies and from microbes to man are derived from the same basic elements. Maintaining the constancy of the physical as well as biological elements in the body, i.e. milieu interior constitute the basic function of physicians. Ayurveda, the science of life aims at attainting ideal physical, mental and spiritual health. 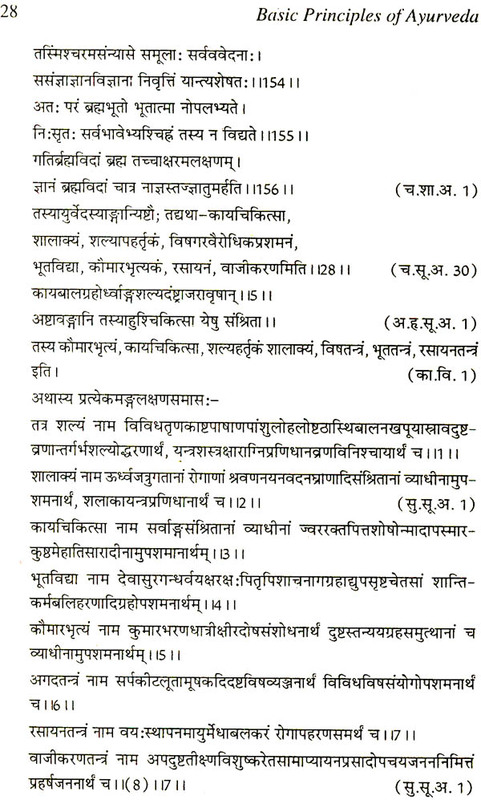 One can acquire physical health by following svasthavritta, i.e. daily and seasonal regimen. One can develop strong mind by following sadvritta, i.e. 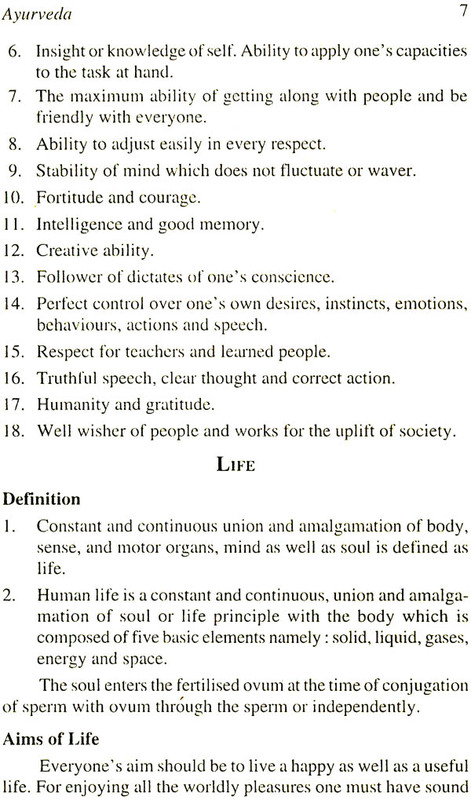 rules of good conduct. One can attain spiritual health by understanding the true nature of self and his relation to the Universe as well as by developing a philosophical attitude. 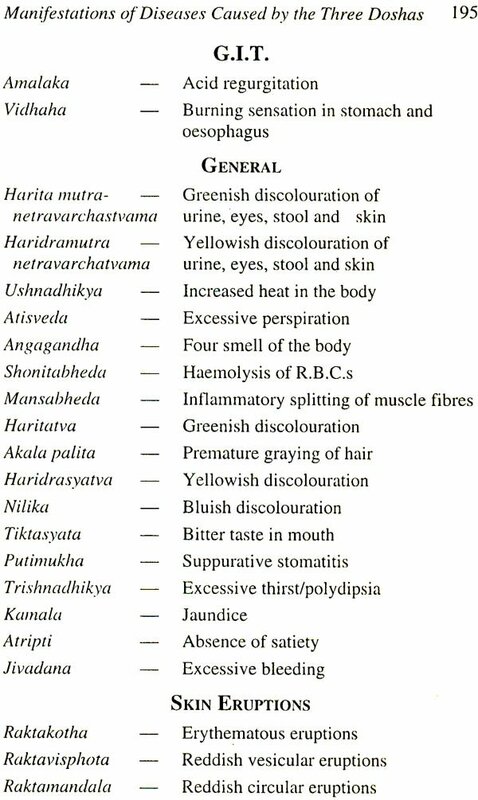 The basic principles of Ayurveda are eternal truths, as they are based on sound scientific facts. 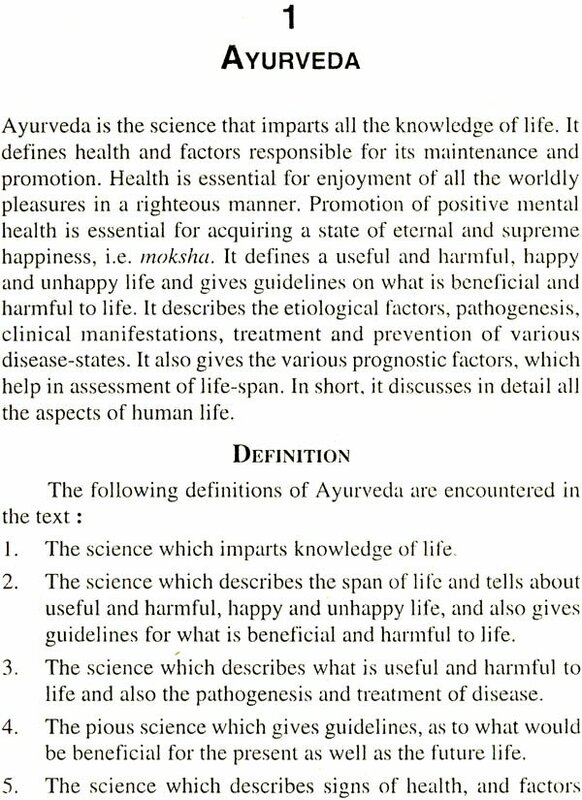 Understanding the basic principles of Ayurveda will not only help mankind to live a better life, but will also help all the present as well as future scientists and research workers in understanding and unraveling the mysteries and intricacies of human life in a better way. From time immemorial Ayurveda has given guidelines and will continue to give guidelines to mankind about the art of living, science of health and philosophy of life. 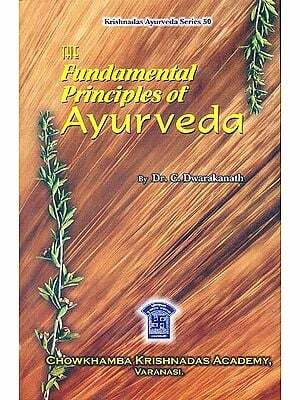 The basic principles of Ayurveda are sound and eternal. 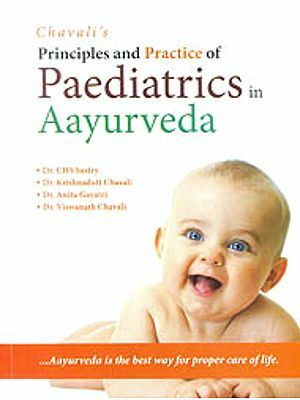 This book gives in detail definitions of Ayurveda, healthy mind and life. 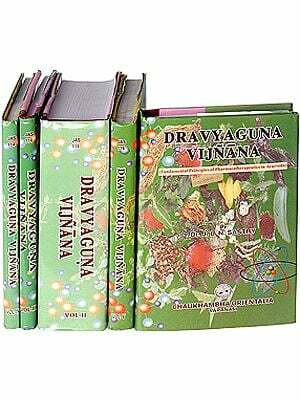 It also gives origin and aims of Ayurveda and life. 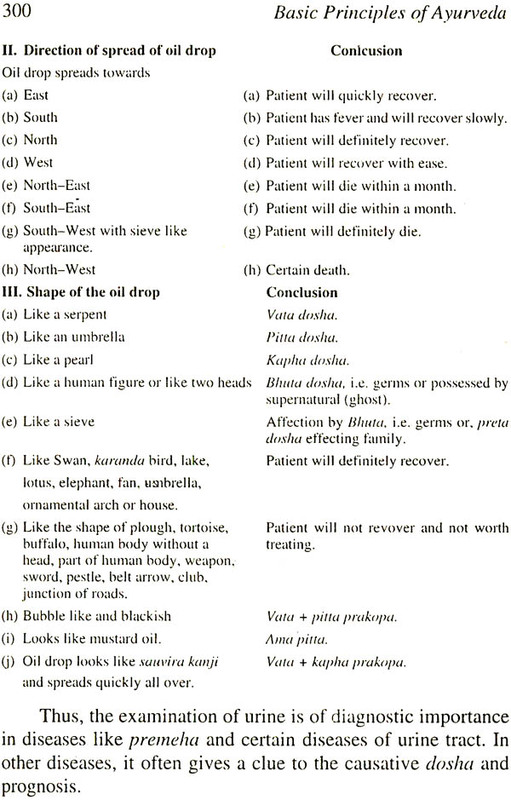 It gives philosophy of Ayurveda and qualities of ideal physician. 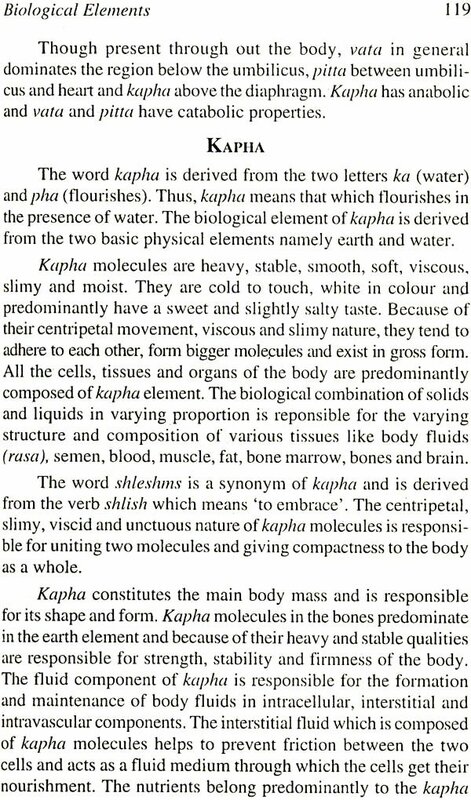 Ayurveda classifies all the structural and functional molecules of all the cells in the body into vata, pitta and kapha molecules. The balanced state of these molecules gives rise to health while an imbalanced state results in disease. Depending on the dominance, the physical constitution is classified as vastaja, pittaja and kaphaja all of which are diseased constitutions. The balanced state is called as samaprakriti, i.e. healthy constitution. 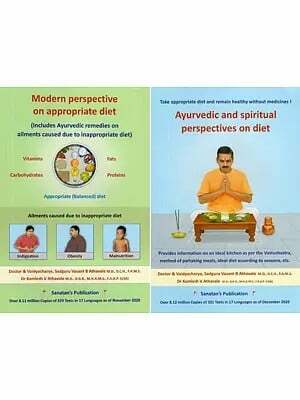 The causes of increase in vita, pitta and kapha molecules which result in different disease and their treatment is described in detail in this book. 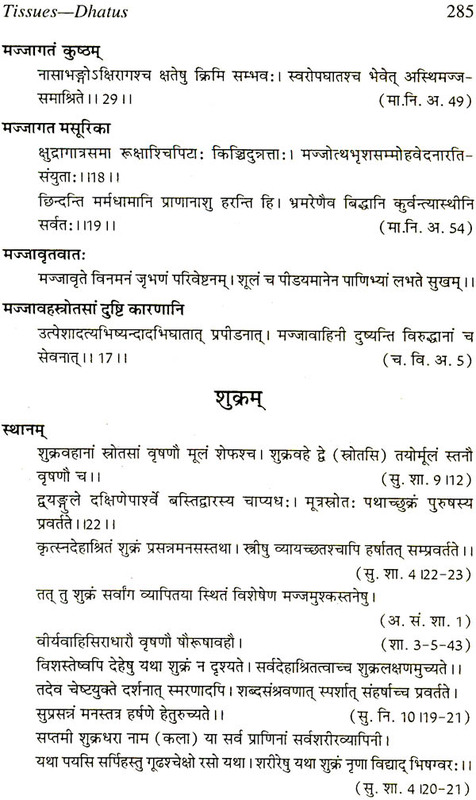 Ayurveda classifies psychological constitution into sattvik, rajas and tamas and guidelines are given as to how to attain a healthy state which is termed as trigunateeta. This book also gives the details of various tissues like blood, muscles, etc. It mentions the causes and disorders of tissues and diet and medicines to improve the qualities of tissues. It describes the characteristic of urine and stools of a healthy person. 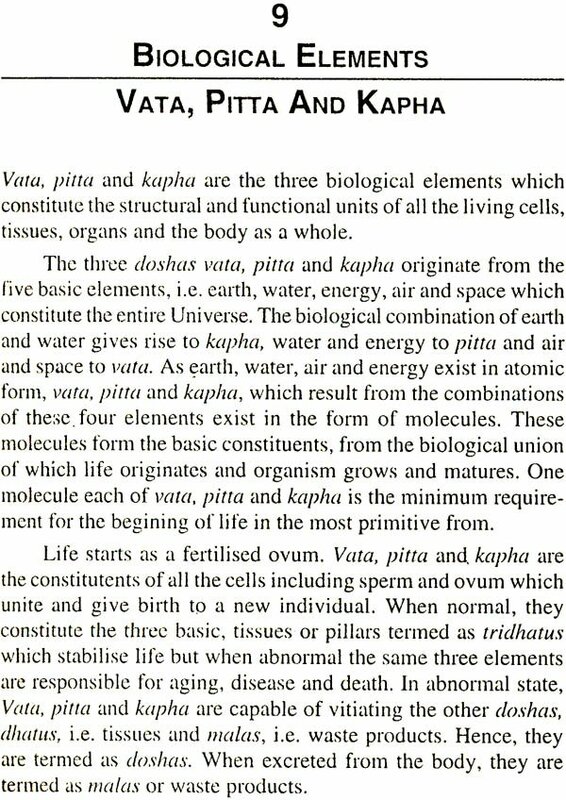 It mentions as to how examination of urine and stools was undertaken in ancient days This book gives guidelines for maintaining the healthy state of vata, pitta and kapha molecules, various tissues and waste products in the body which will result in health and happiness.